The first round of the Eastern Conference playoffs is as balanced and even as ever. The Milwaukee Bucks for example just won two consecutive games against the Boston Celtics, to even out the series. After many years, the Bucks finally have a superstar on their team again in Giannis Antetokounmpo. While he still is only 23 years old, the ‘Greek Freek’ has become one of the best players in the NBA and is the key factor in the Bucks’ current success. 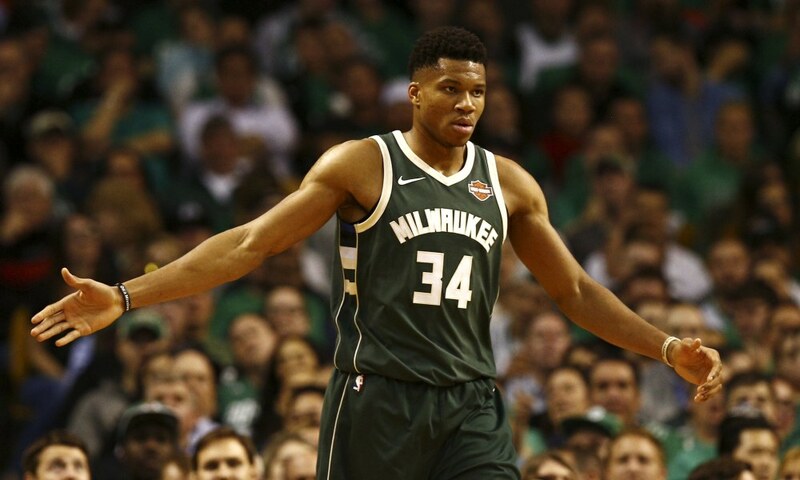 You would think that the people of Milwaukee are praising Giannis and are proud to have him on their team, but after yesterday’s win, Antetokounmpo wanted to celebrate the series comeback at a Milwaukee Mexican restaurant, together with his girlfriend. Apparently, Giannis waited for about 10 minutes at the half-empty restaurant to be seated. Even after these 10 minutes, no restaurant staff member came by to seat the All-Star, causing him to leave the place. Other Bucks fans, who also saw Giannis leaving after not being seated, were so angry at the restaurant, that the cops had to be called to stop a fight between a fan and a staff member. In the end, it’s bad luck for the restaurant. They could have had some great, positive, free publicity, instead it turned into a disaster for them.